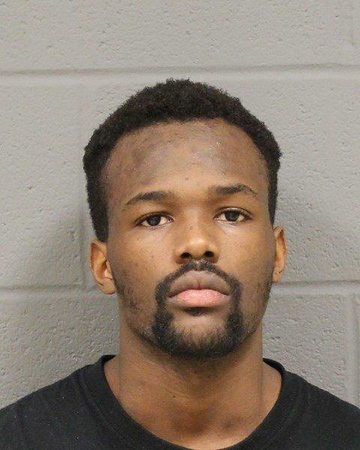 SOUTHINGTON - A Hartford man already accused of robbing a pizza delivery man in Southington has now been charged with robbing the delivery driver from a local Chinese restaurant. Patrick Brown, 19, brandishing a knife about nine inches long, allegedly pointed the blade at the Chinese delivery driver on Jan. 9, at about 7:15 p.m., and told him to hand over all his money outside Motel 6, located at 625 Queen St., according to the warrant for his arrest. The victim, who was not injured, handed over about $400 and the suspect took off running, the document continued. Brown was charged Thursday with first-degree robbery and sixth-degree larceny in connection with the Jan. 9 incident. According to police, Brown was first arrested on Jan. 11 after a delivery man said he was robbed outside Motel 6 while trying to deliver a pizza. The victim said he was confronted by a man in the parking lot. The suspect had a knife in his hand and demanded all of his money. The victim gave him about $273 and some Indian rupees. Investigators were able to ping the cell phone that was used to make the pizza order, finding that the device was still in the area of Motel 6. They then found Brown in one of the Motel rooms with cash, rupees and some crack cocaine. He was arrested on the spot and charged with first-degree robbery, sixth-degree larceny and possession of crack cocaine. Following the Jan. 11 robbery, detectives spoke to Brown while he was in custody. He has been held since. He admitted to police that he robbed the pizza delivery man and also said he robbed the Chinese food delivery person days earlier, according to the warrant. After robbing the Chinese delivery man, he said, he fled the scene and spent the night somewhere in New Britain. Brown also told police he needed money and never had any intentions of hurting either of the victims. Police wrote a warrant for Brown’s arrest and charged him Friday in the Jan. 9 robbery. He was arraigned before a judge in the afternoon, where his bail was increased by $5,000. He has been held on $250,000 since his arrest Jan. 11. During the hearing, Brown’s case was transferred to New Britain Superior Court, where the most serious matters in the area are prosecuted. He is scheduled to appear there on Feb. 13. Brown has not entered a plea in either robbery. Posted in The Bristol Press, Southington Herald on Thursday, 31 January 2019 13:59. Updated: Thursday, 31 January 2019 14:01.